Roboy represents a new generation of robots. Roboy has a bright future, as he represents a completely new generation of robots. 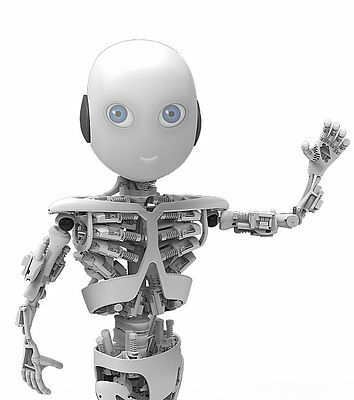 The pioneering project of the Artificial Intelligence Laboratory (AI Lab) of the University of Zurich had the target of developing one of the most modern humanoid robots within nine months. In March 2013, Roboy was presented to the public at the "Robots on Tour" robotics exhibition held in Zurich on occasion of the 25th anniversary of the laboratory. Since the project start in the summer of 2012, Roboy's development progressed rapidly. The torso of the 1.30 m robot was completed and assembled. The two arms were finished and can move; furthermore Roboy has received a new face. This friendly face is projected onto the head of the robot with a miniature projector and gives him a whole range of facial expressions. This makes his humanlike appearance almost perfect. Roboy will additionally be able to recognize faces that he has learned beforehand. The humanoid is a so-called "soft robot" - a further development of "Ecce", his famous brother, which was also driven by maxon products. 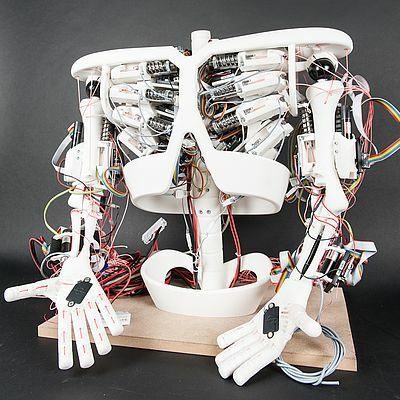 Roboy has been designed as a humanoid tendon-controlled robot (in "normal robots", the motors are in the joints); this enables him to move almost as elegantly as a human. As main project partner, maxon motor supplied various brushless DC drives that provide Roboy with controlled movement. 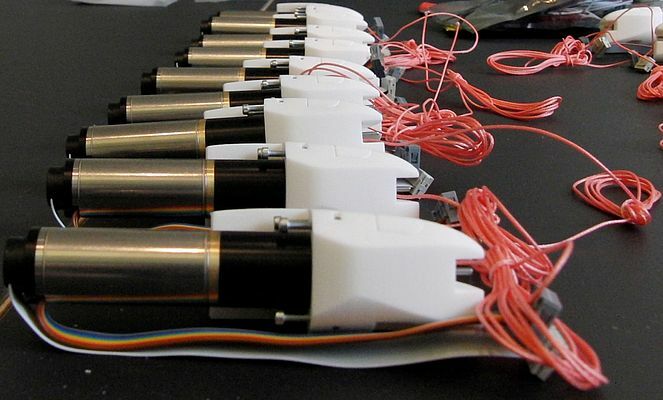 In total, more than 50 maxon motors, combined with gearheads and encoders, have been installed in the robot. Additionally, all electronic components are from maxon motor. To control the motors and execute Roboy's movements, a master/slave system has been set up using the digital positioning controllers of the maxon EPOS2 series. Programming of the control functions on the slave system was performed in cooperation with maxon engineers. The drive specialist from Sachseln has many years of experience in robotics, e.g. 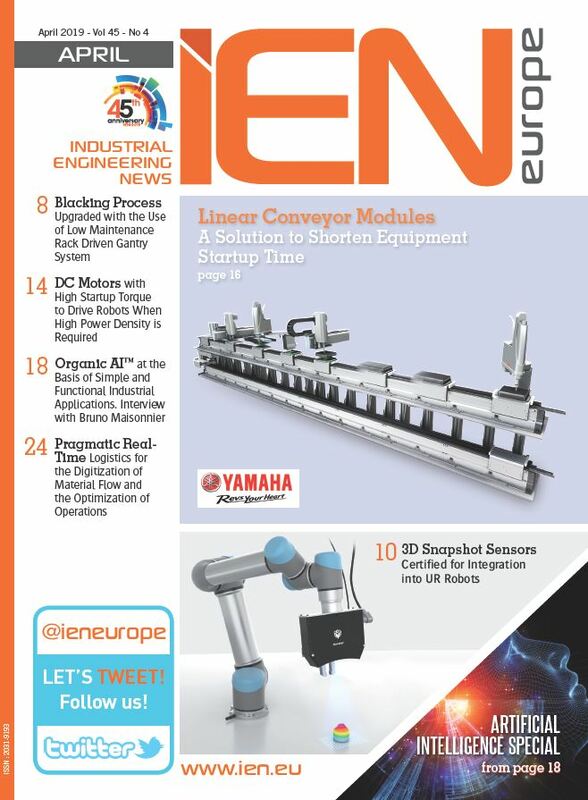 for medical technology, industrial automation or the astronautics industry. Currently maxon products are in use in the two Mars rovers "Curiosity" and "Opportunity".